The financing is known as C-PACE (Commercial Property Assessed Clean Energy). This innovative financing tool fills equity financing gaps in complex development projects – and the cost of PACE financing is often more than 50% less expensive than traditional mezzanine debt. C-PACE programs allow for funding up to 20% of the as-stabilized value of the building. May allow pass-through on NNN leases and room surcharges. Non-recourse, fixed rate and long terms. Cannot be accelerated (called due). 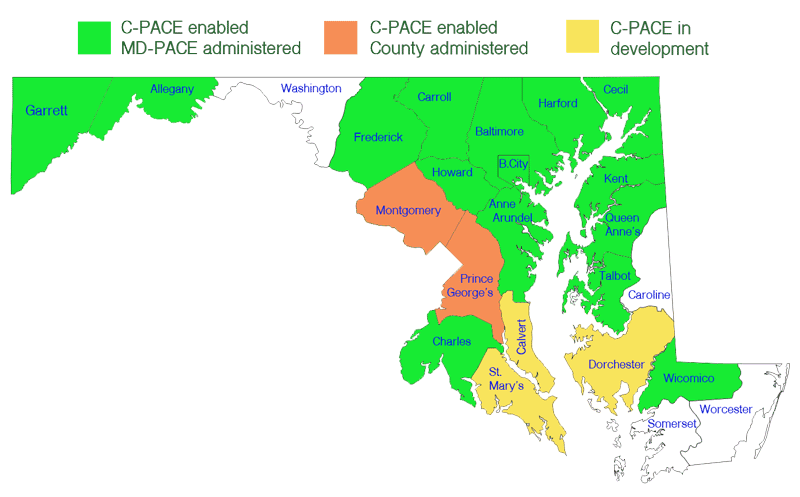 C-PACE eligible counties in Maryland. 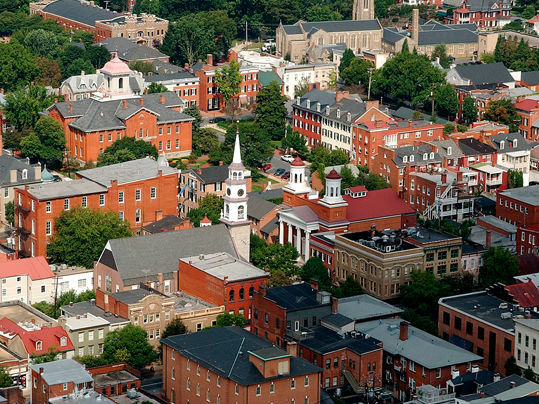 To learn more about this financing opportunity and to be put in touch with Preservation Maryland’s C-PACE lending partner, contact Preservation Maryland here. LEGAL DISCLAIMER: Preservation Maryland and its affiliates do not provide tax, legal or accounting advice. This material has been prepared for informational purposes only, and is not intended to provide, and should not be relied on for, tax, legal or accounting advice. You should always consult your own tax, legal and accounting advisers before engaging in any transaction.